Stayer, or motor-pace, bicycles have some specific parts from the custom geometry to allow a smaller front wheel and reverse rake fork to the large front chainring to provide the gearing to race closely behind a motorcycle. Another addition is the saddle support. 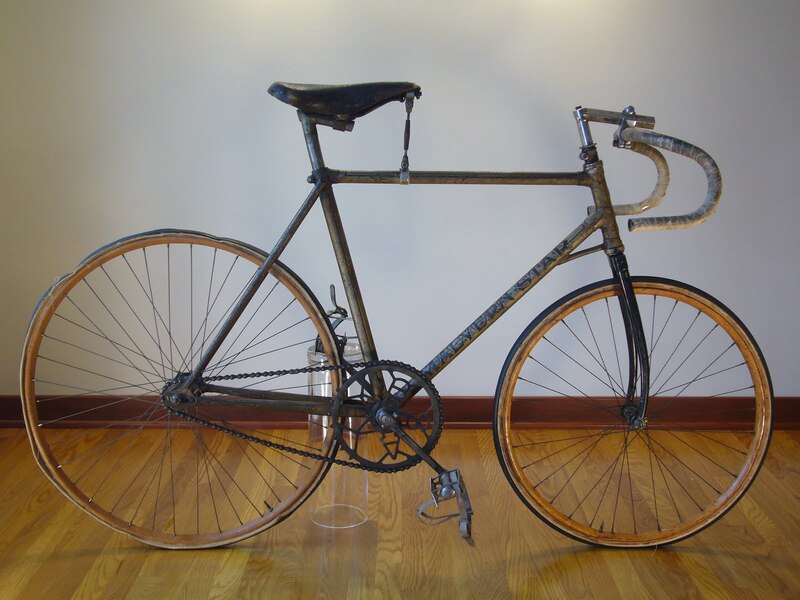 Affixed to the top tube and then to the nose of the saddle, it offered support to ensure the saddle did not shift an any direction, especially then the bicycle encountered some steep banks at some velodromes. 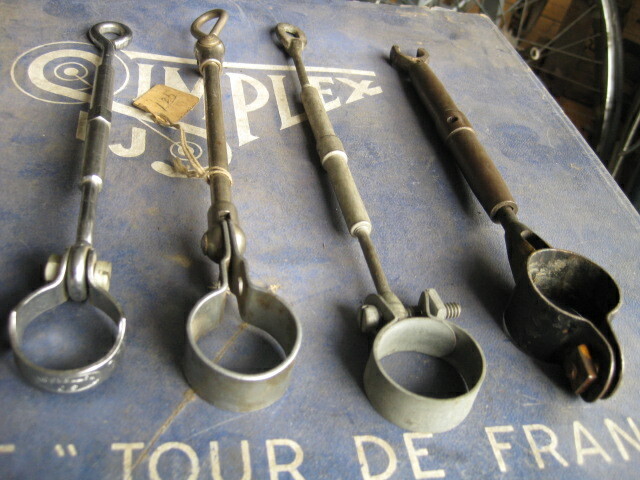 Here are for different saddle supports. 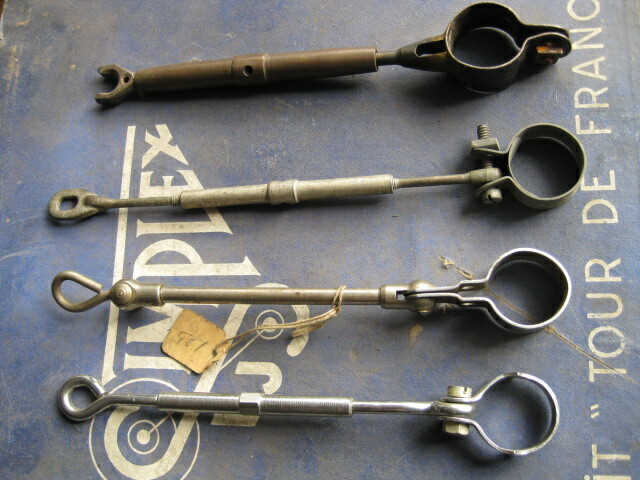 The two bottom examples are manufactured by Cyclo(UK) from the 1940s-1950s. I am unaware who made the other two. They are not for sale. Excellent post. this really is my personal very first trip to your site. Many thanks with regard to publishing an excellent post.